EARTHLY REMAINS – THE LAST RECORD STANDING AT COLONY RECORDS: My 100th post. A story of eerie coincidence. Colony records was an iconic sheet music and record store on Broadway which sadly closed after 64 years a few weeks ago. Repeat patrons included Benny Goodman, Elvis Presley, Mick Jagger, Elton John, Liza Minnelli, Eartha Kitt and Michael Jackson, who in his later years took to scheduling after-hours appointments to drop by. I myself became obsessed with her when I saw her sing “I Want to be Evil” on the Ed Sullivan show in the early 1960’s. 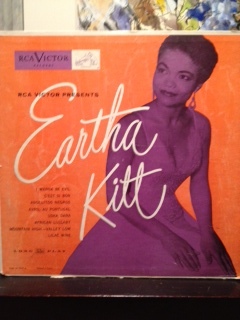 In the era of blonde Doris Day virgins, here was this black woman that wanted to be evil, I thought it was divine! I sought out all her records and amassed quite a collection with the help of Colony Records. In 1978 my dream came true when I met her March 1, 1978 at the Mark Hellinger theater when she starred in all the all black version of ‘Kismet’, a new show called “Timbuktu”. She made her entrance on top of a pyramid of black muscle men, one of them being a former Mr. Universe. She slithered down the pyramid and strode to the front of the stage, curled her bare toes over the edge, rose her arms and purred “I’m here!” It usually took many minutes for the wild enthusiastic applause to die down. I was in heaven. 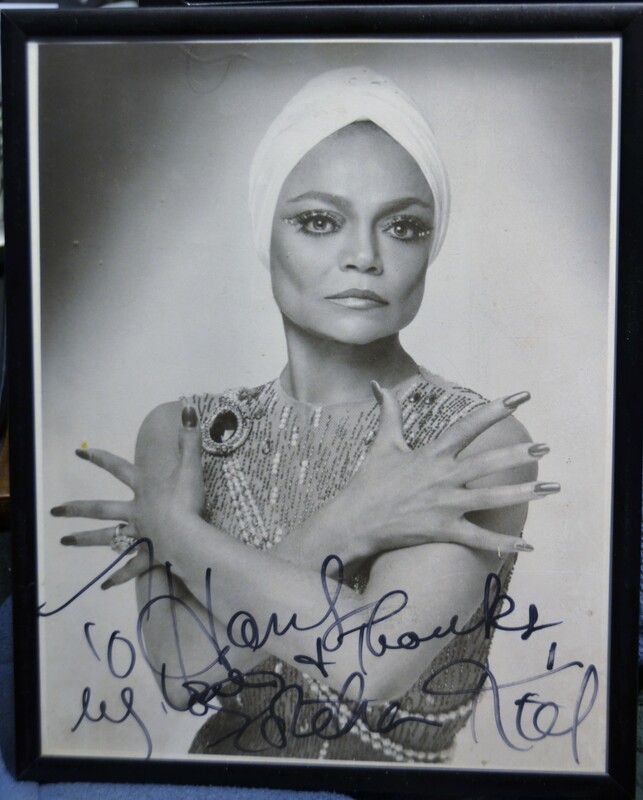 I crashed the opening party and was invited into her dressing room and she herself then invited me to Sardi’s opening party and we became friends after that, dancing nights away at Studio 54 and then exchanging letters while she toured with the show. The Earthly remains of Colony Records…Richard has kept the record for his private collection. This entry was posted on October 8, 2012 by newyorkcityinthewitofaneye. It was filed under DAILY PHOTOS WITH STORIES OF NEW YORK CITY and was tagged with batman tv show, celebrities, Colony Records, Eartha Kitt, ed sullivan show, Hans Von Rittern, Manhattan, New York City, RCA Viktor, Richard Turk, Times Square, vinyl.